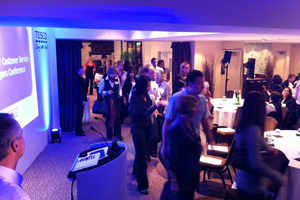 Tesco held its six-week service managers roadshow throughout September and October. BSI Meetings & Events was appointed to deliver the series of five conferences, which took place in five UK locations from Bristol to Scotland for a total of 1,200 delegates. The events were aimed at the company’s core brand employees of Tesco Superstore, Metro stores, and Extra stores, and took place locally to ease disruption to the business. The roadshow used venues including Cadbury House in Bristol, Easterbrook Hall in Scotland, and Yarnfield Park in Staffordshire before culminating in a two-day event at Leicestershire’s Hinckley Island for Metro and Extra delegates.